Sell Your Car in Philadelphia - Fast, Safe, Fair! "I want to sell my car fast, but I have no idea where to begin." We hear this statement a lot . The good news is that you are in the right place! We Buy Any Car Northeast Philadelphia on Grant Avenue makes selling your car easier than ever. We buy your car regardless of make, model, age, or condition, and we offer some of the best pricing for individual car sellers. Feel free to start with our online car valuation guide to seeing how much your car is worth. Make an appointment and get cash for your car the same day! Our convenient hours and years of experience mean that you can sell your car to a trusted source - hassle-free! We've listed answers to the most common questions on the frequently asked questions section of the website but if you'd like to talk to someone, you can reach Brian Montgomery who manages our Northeast Philadelphia car buying center at (215) 554-6218 during branch opening hours, listed above. 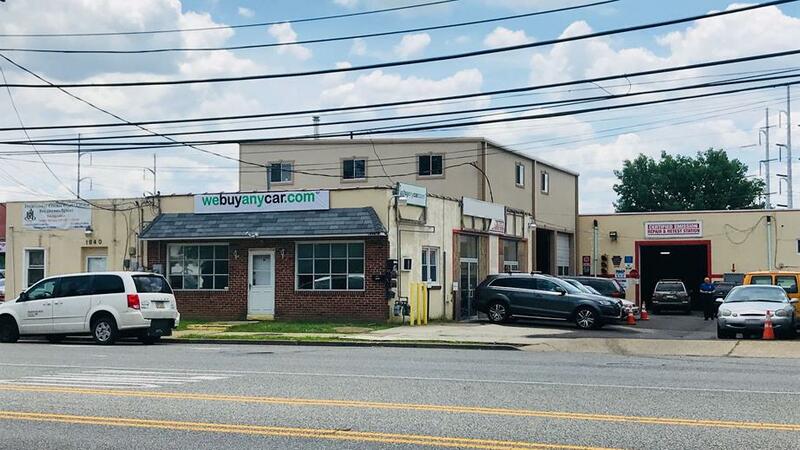 Our professional Northeast Philadelphia branch manager, Brian Montgomery, will be there to personally meet you as the first step of selling your car. Brian will need to check that you have the necessary documentation and proofs of identity to sell the car. After that, Brian will conduct a short ten-minute inspection of your car with you present. We buy your car on the spot, so arranging for a ride home from a friend or family member ahead of time is probably the best idea. If that is not convenient, the branch manager has a list of public transportation options available to you. It is always our aim for you to get your money for selling your car right away. Once the inspection is complete and the price agreed upon, you will receive a We Buy Any Car corporate check that can be cashed or deposited right away.